In a busy end to an eventful year Sandon Global have landed a series of awards this month. 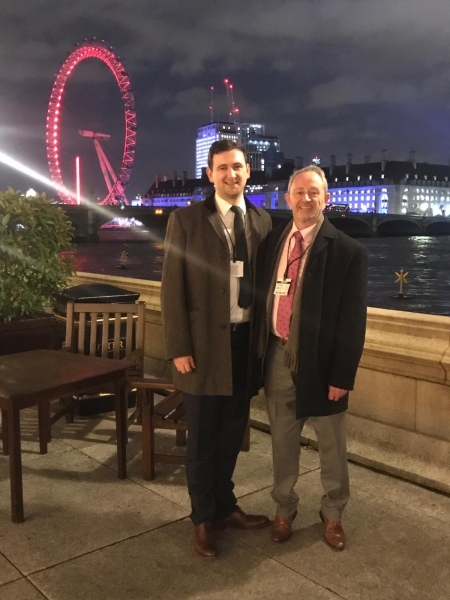 The British Chambers of Commerce annual awards ceremony took place at the House Of Commons where SME’s from across the country came together for a gala dinner to mark the outstanding achievements of UK firms. As an active member of the St Helens Chamber Sandon Global received the Highly Commended, Export Business of the Year Award at this illustrious event. Although not able to divulge the details, at the time of distribution it is known a new management structure, fresh rebrand including new international website services and a purpose-built manufacturing facility are all in the pipeline. Finally, during this season of goodwill and festivities it is nice to finish on a positive attitude towards social responsibility. In support of its local borough Sandon Global have purchased over £1,750.00 in children’s Christmas presents for the local “Child In Need” Service. The dedicated team at Halton Borough Council distribute gifts to families who are unable to provide much in the way of Christmas presents for their own children at this time of year. Sandon Global have donated gifts for a broad range of children’s ages for the past 6 years. This year’s donation includes a mix of toys, toiletries, games, sports equipment and books. CEO John Millington commented. “I hope this gesture will at least bring a smile to local kids’ faces on Christmas Day.” He adds. “Our business has been based in Runcorn for over 14 years and we know how hard the team at Halton work to support families in the borough with limited resources. It is easy when leading busy lives to forget about people who struggle to provide for their families at this time of year.” All in all, quite a year, with a clear statement of intent. Sandon Global are set to hit 2019 running.